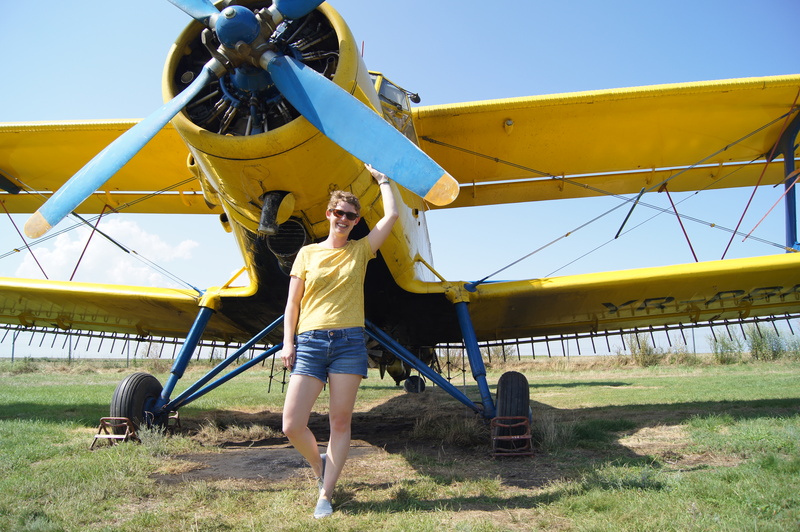 In a group of 13 aircraft of the Antique Airplane Association of Switzerland, we traveled to the Black Sea. This year, our old flying machines took us to the South-East, to Bulgaria and Romania and many other countries along the way. The Black Sea is a special destination. 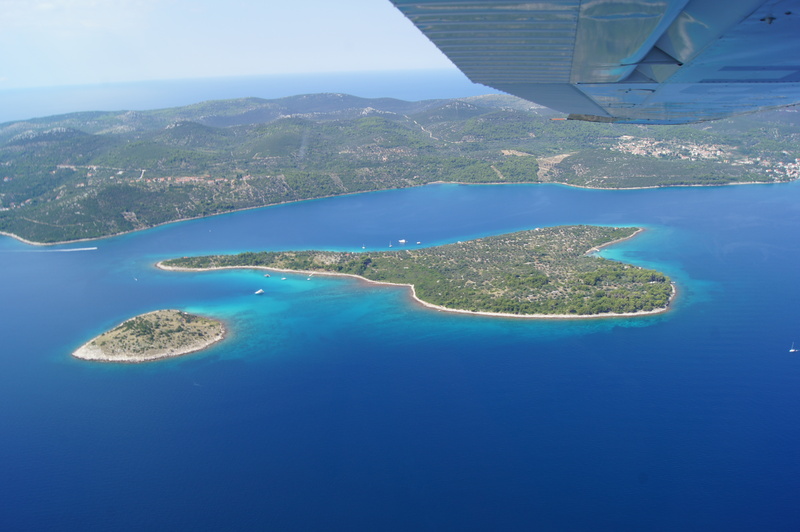 Not only because General Aviation is very uncommon in this region, but likewise because these countries are so different and yet – of course – are part of our European community. An adventure stood before us. 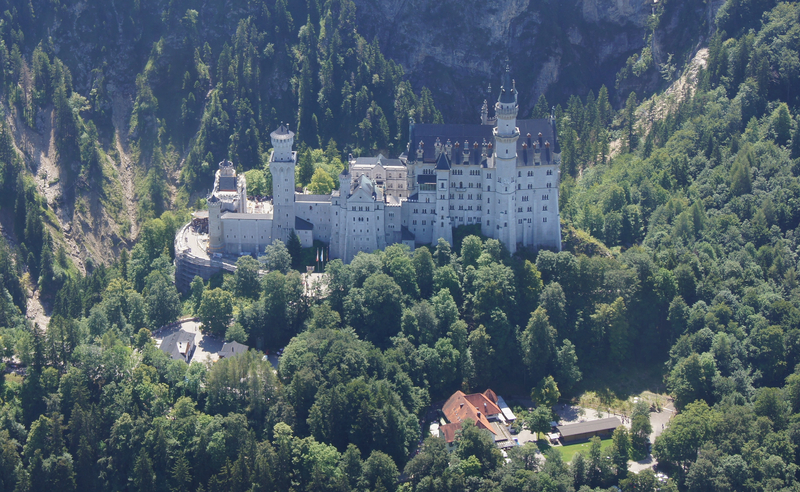 After passing the Castle of Neuschwanstein in Germany and the birth place of Diamond Aircraft in Austria, we were headed South-East bound along the Donau river. 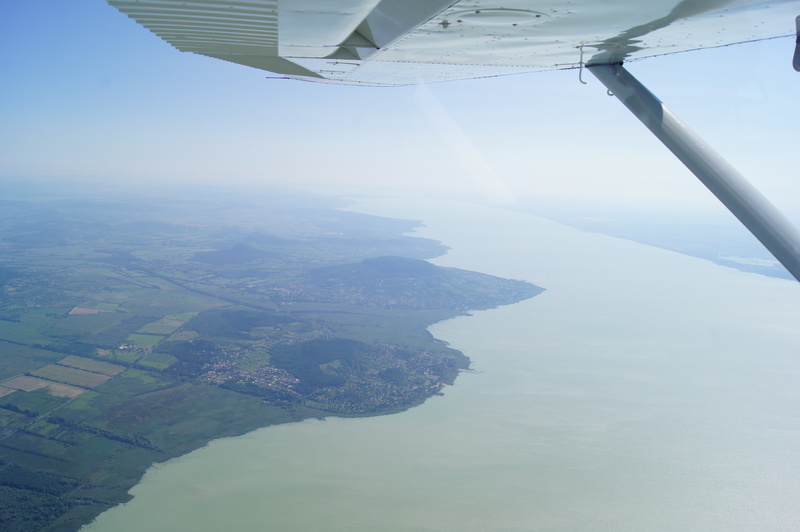 The flight over Hungary was in complete tranquility – we listened to some old swing music as the landscape of Balaton and Transdanubia passed beneath us. Lake Balaton is apparently the biggest lake in central Europe and is only 12 meters deep at its lowest point. 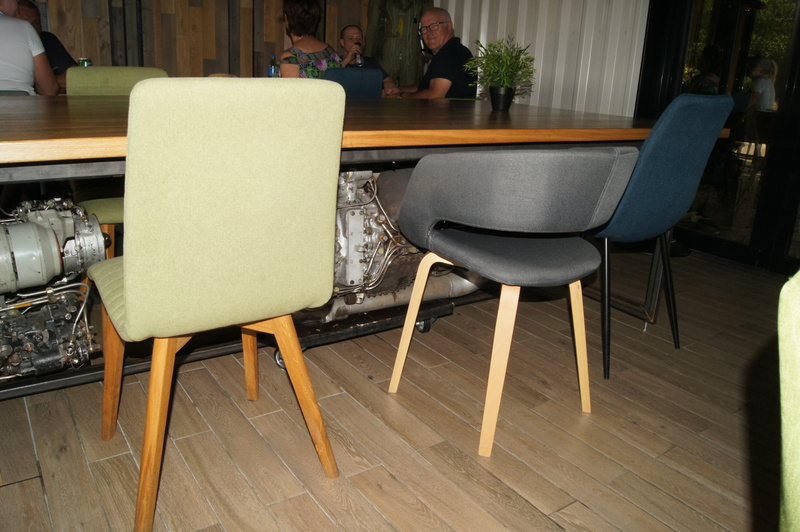 In Croatia, we only stopped to refuel and continued to Niš, Serbia for an overnight stay. The airport was not prepared for so many small aircraft. Instead of a self-service fuel station, they used a fuel truck and a bureaucratic procedure. It took us four hours until we could leave the airport to go to the city. 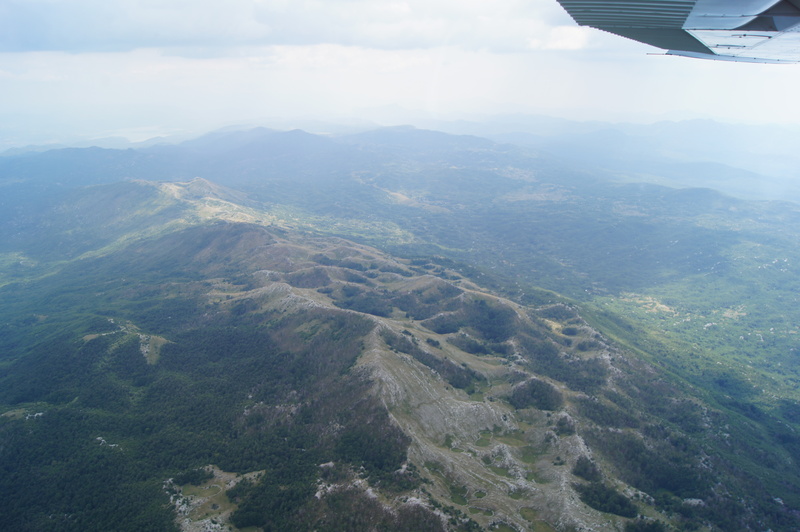 It was very unceratin if the flight from Niš, Serbia to Gorna, Bulgaria would even take place. Not because of the weather or any other of the usual problems, but because of the bureaucratic processes in Bulgaria. 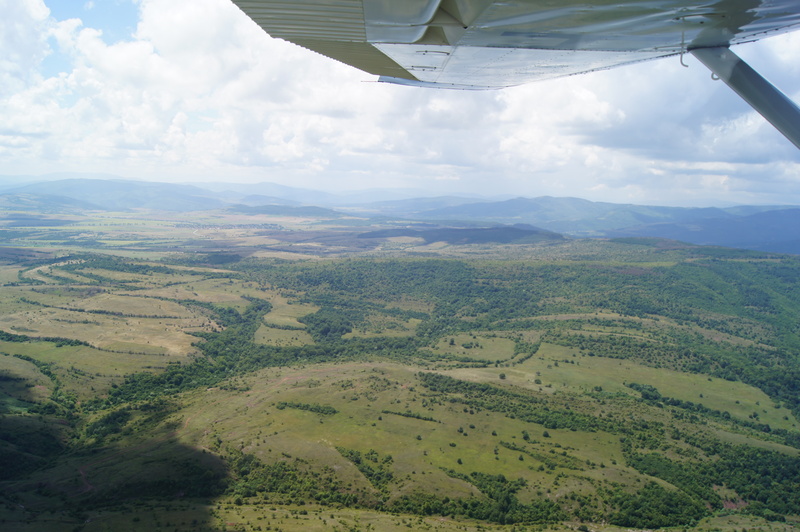 Until the morning of the flight, we did not know if we could enter the country by general aviation. One has to understand: These countries do not have the amount of private flights that we have in other parts of Europe. When we asked for entering their country with 13 small airplanes (all 2-6 seats), it is very likely that some people at the airports and at the authorities were not familiar with this kind of visitors. For example, the authority of Bulgaria asked us to provide all papers of our airplanes before we even entered the country – a procedure that is meant for airlines asking to establish a new destination. After all aircraft papers had arrived in Bulgaria, the airplanes themselves were allowed to follow suit. 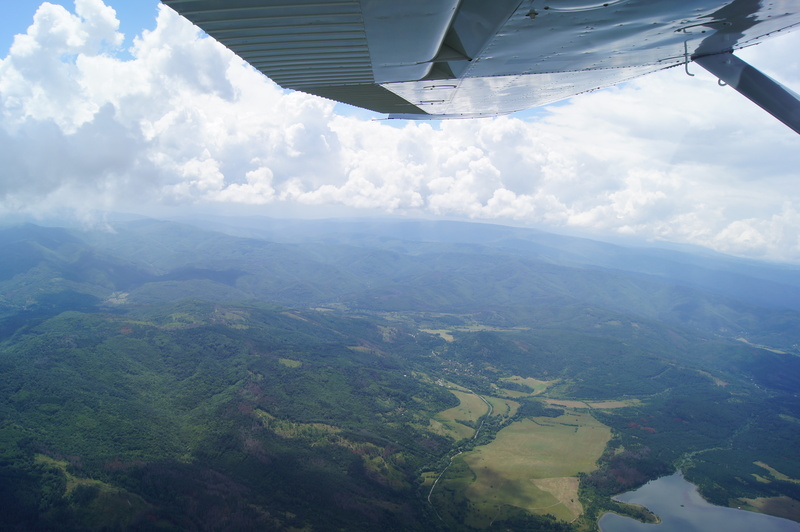 We took off for an interesting flight over the Balkan Mountains into the middle of Bulgaria, to Gorna Airport. 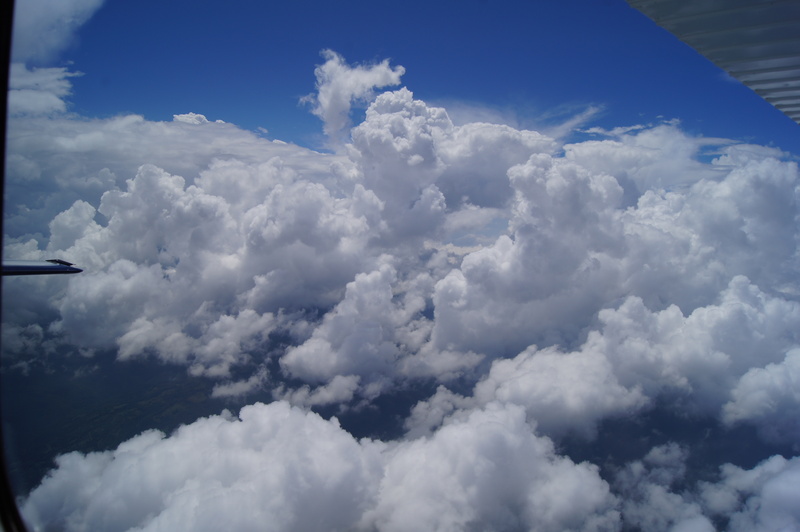 During the flight, we were kept on a short leash by the air traffic controllers. Being used to airliners that use advanced autopilots, they asked us to maintain equal air speeds in order not to overtake each other. But the speeds they asked us for, well, our airplanes could not even go so fast. 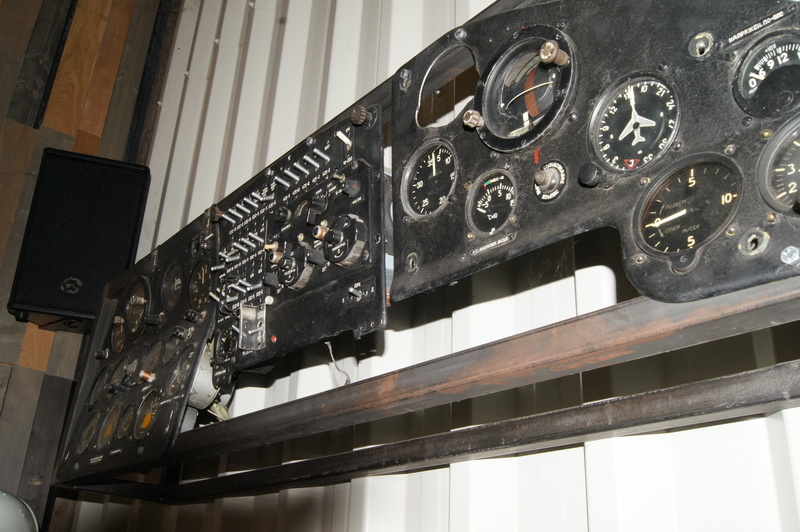 With dedication, the controller continued trying to keep our airplanes separated on his radar screen, but there was nothing he could do about our fundamentally different speeds. Some going 150 kts, some going 70 kts. Even though he had us nicely lined up, very much like little ducklings, and assigned us a numbering system (No1, No2, No3, etc.) for our sequenced landings – we kept reporting our overtakes of each other and the air traffic controller must’ve had his most stressful day of 2018. The airport of Gorna, Bulgaria was ready to welcome us, thanks to the Aircraft Owners and Pilots Association of Bulgaria (AOPA Bulgaria). After filling in many forms for our arrival, we again waited a few hours until the refueling was completed. Even though there were some taxis parked outside, we couldn’t catch one. It turned out that the airport had so little movements that most employees were on call: The taxi drivers were the firefighters of the airport. To let time pass while waiting, my wife ind I used the airport hall as a Lindy Hop dancing location (we’re in a beginner’s class and needed some practice!). By the way, I like this dance because it’s named after Charles Lindbergh‘s hop over the Atlantic in the 1920s. The airport hall architecture might stem from Bulgaria’s time as a soviet satellite state and inspired us to dance – funnily enough – this New Yorker swing. We stayed overnight in Veliko Tarnovo, in a hotel with a rooftop swimming pool. The city had a small dance festival going on and we were impressed how vivid the city was. The night life was definitely healthy there! The next day, we took off for Romania. 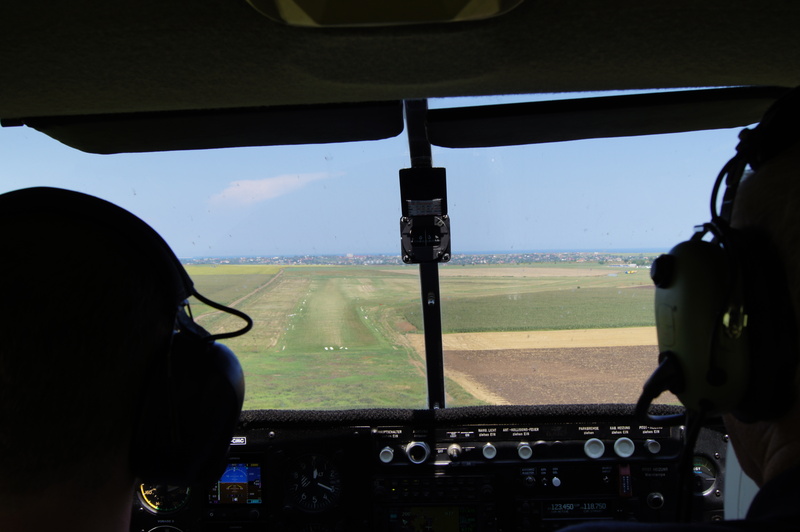 As the entire fly out followed the Danube river (Donau), we went for a sightseeing flight to the Danube Delta at the Black Sea. The Delta is a large area of swamps and waters. When looking straight down, we could always see the reflection of the sun in the wet lands. 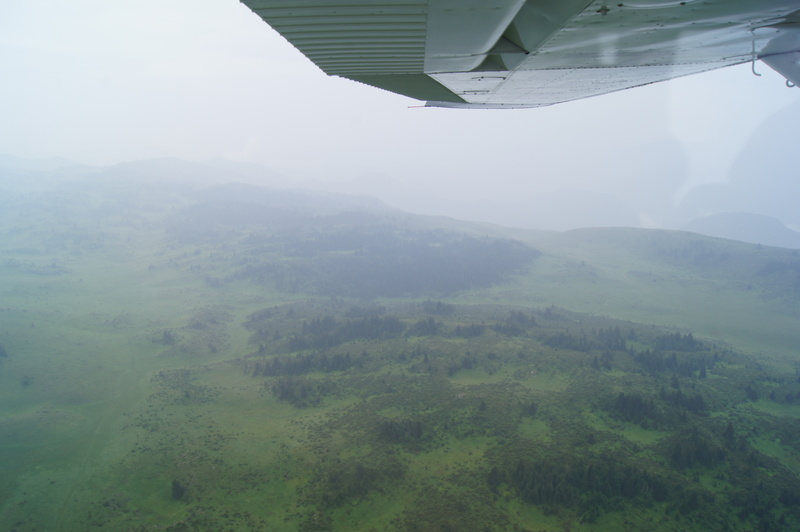 In order not to bother the wildlife, we stayed at altitude. 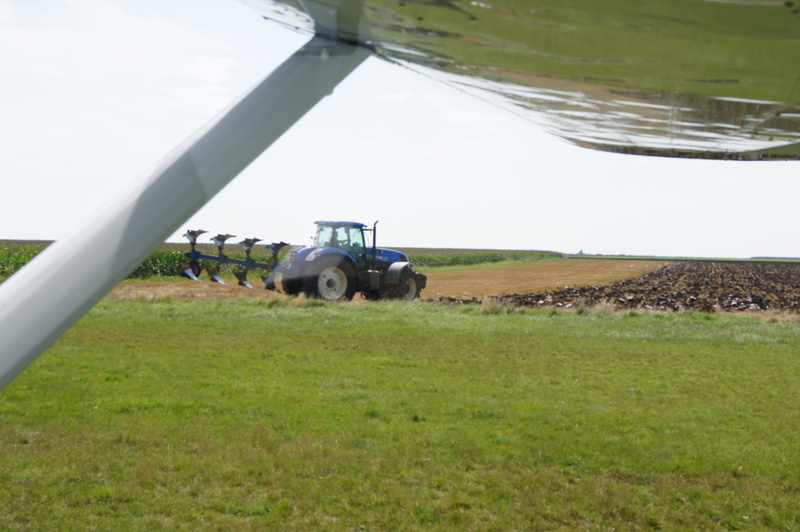 On the way back, we met with another member of our group for a photo shoot with his Rutan VariEze aircraft that is known for its economy – it goes faster than us with an engine less than half as powerful as ours. 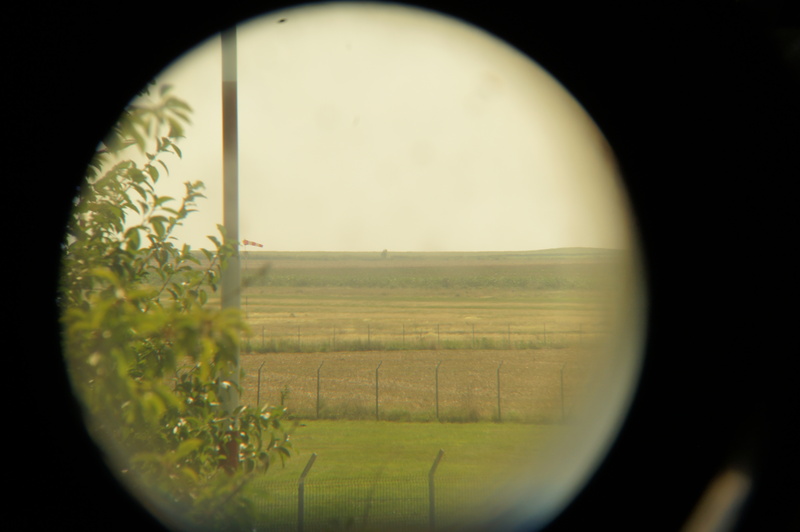 Further South, we landed on a rough grass runway at the Black Sea, in Tuzla, Romania. The small airport was difficult to land at for some airplanes, because of the uneven grass surface with bumps and holes. We were glad to have a robust landing gear. 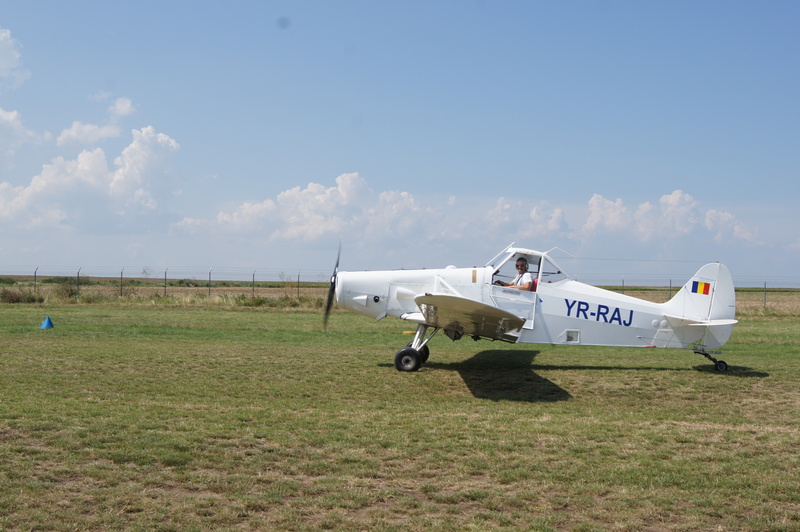 Others were not so lucky, one airplane of our group damaged its gear and had to stay in Romania for more than a week, until the repairs were made and the grass runway was usable again after some heavy rain. 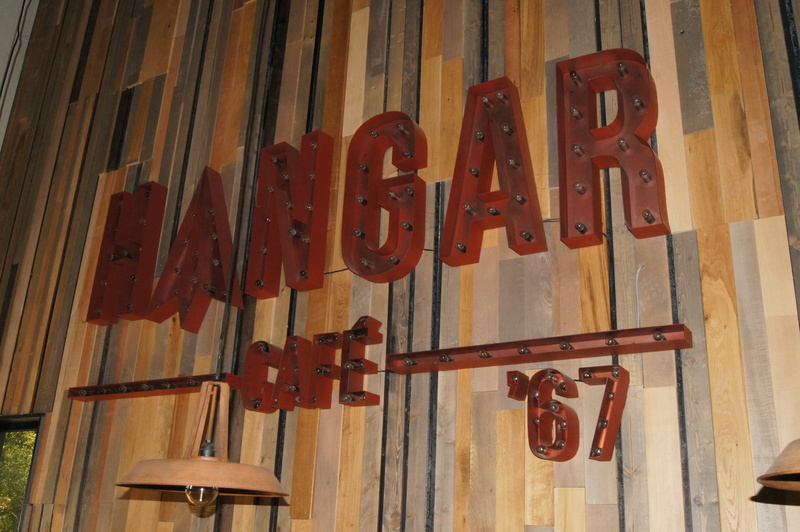 Once on the ground, the airfield spoiled us with an aviator bar. 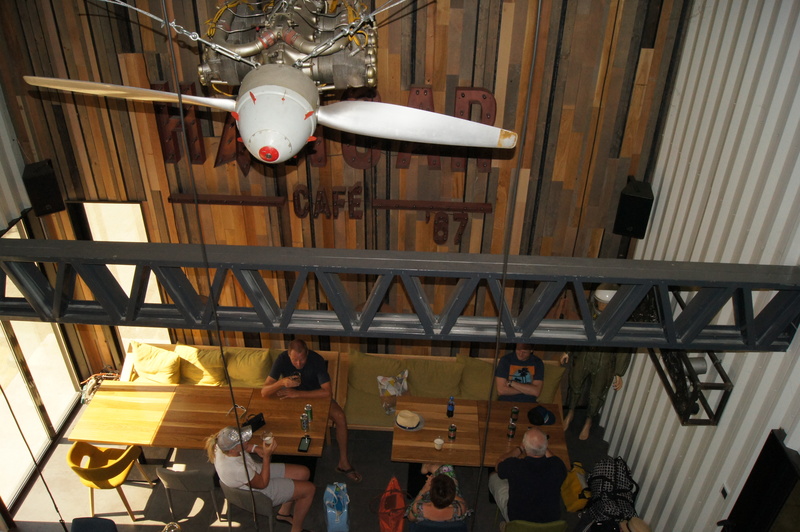 Tables were made with old Russian engines and the seats at the bar were built from a helicopter. Pretty neat! From Romania, we followed the coast of the Black Sea to Primorsko, Bulgaria. Navigating along a shoreline is always easy, but Bulgaria tried to make it difficult for us. 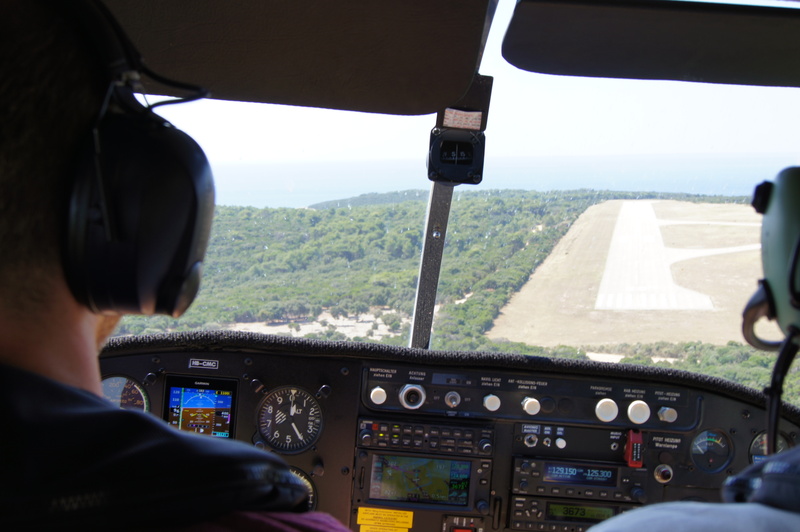 Due to some larger airports at the coast, we were required to follow an unsafe route over the Black Sea, at 500 feet (150m). 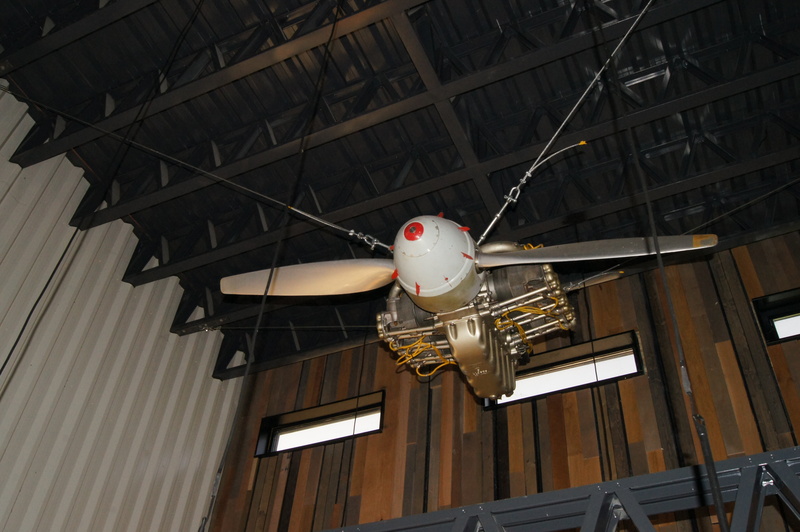 In case of an engine failure you’d have 30 seconds until landing in the sea. I was glad that the controller accepted us flying somewhat higher. This example shows how a country can make flying dangerous, by imposing rules that are based on politics and unfamiliarity with general aviation, rather than rules based on actual safety and common sense. The AOPA Bulgaria arranged two customs officers to come to the small airport for our international arrival. This is very common in other countries but is not known of in Bulgaria. 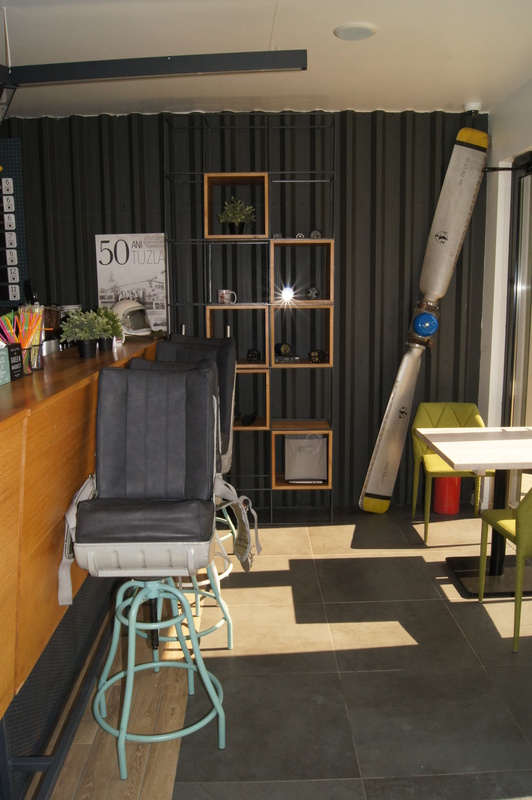 The AOPA Bulgaria hopes that this event demonstrates to their authorities that this is a very simple enabler, to make the small airports of Bulgaria attractive as a general aviation destination. After all, people who arrive from western Europe in their airplanes will happily spend their money on holidays at the Black Sea! 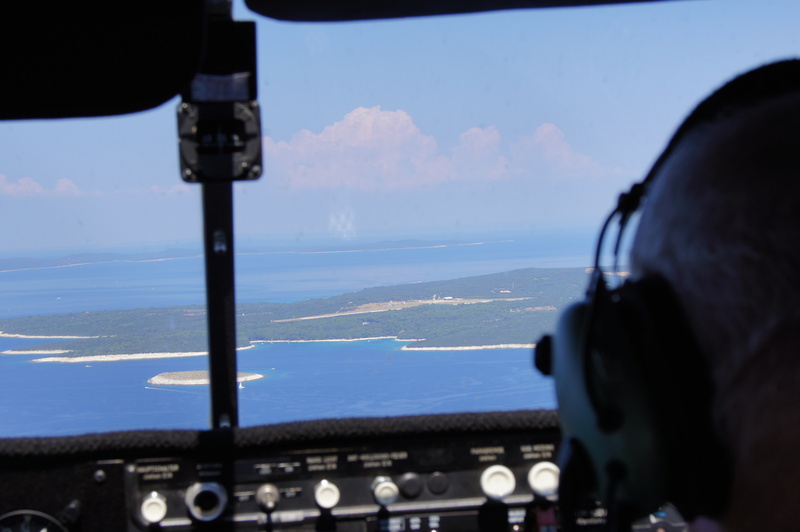 Bulgaria should make an effort to promote their country as a general aviation destination. Especially now, after Greece (Fraport) has made their airports so expensive for small airplanes that the country is avoided by pilots. Bulgaria should use this situation and invite the general aviation community to come to the Black Sea. I am sure, it would pay off well. Again, AOPA Bulgaria helped us navigating the country. We had to pass through active military areas to Lesnovo, just outside of Sofia. Some of our group saw MiG fighter jets in close formation passing below us. 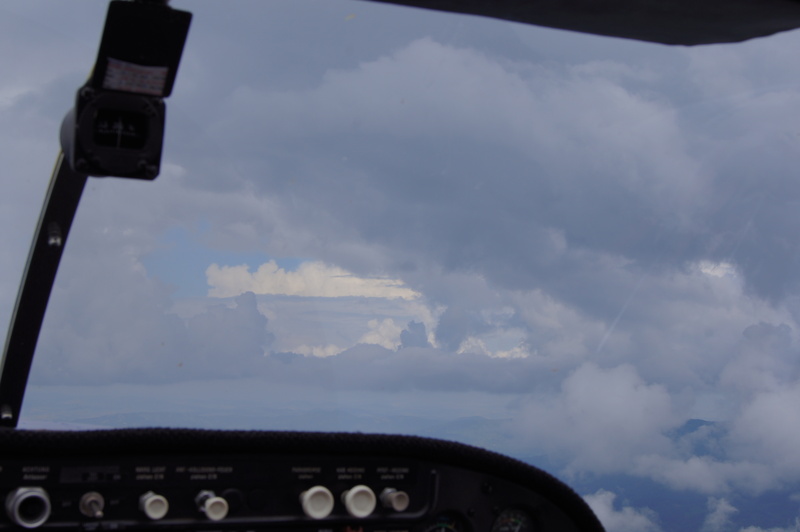 Approaching the area of Sofia, we approached a cloud deck that we needed to under-fly. 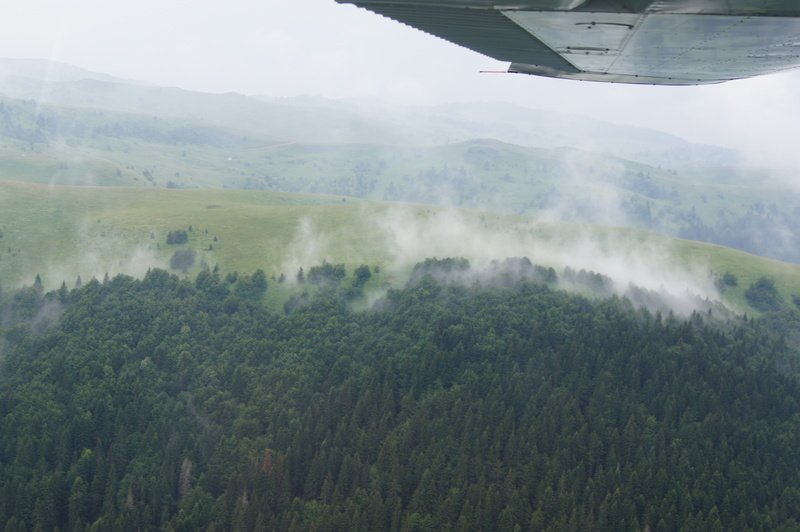 We followed a highway to Lesnovo at low altitude and passed some antennas that reached into the clouds, higher than us. On the information frequrency, I informed the other airplanes about the towers and we landed safely. Yet again, we were checked by some customs officers for leaving the country. 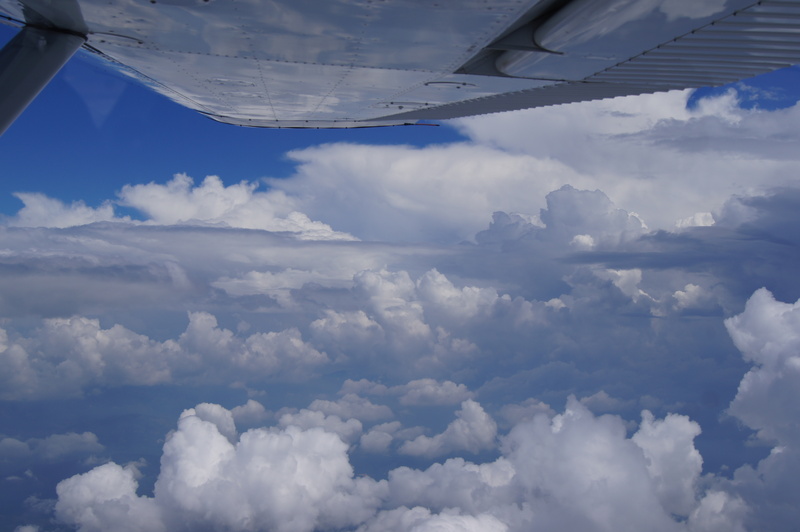 The weather was hot, the clouds kept building up and we were one of the first aircraft to take off again. A very fascinating flight began. 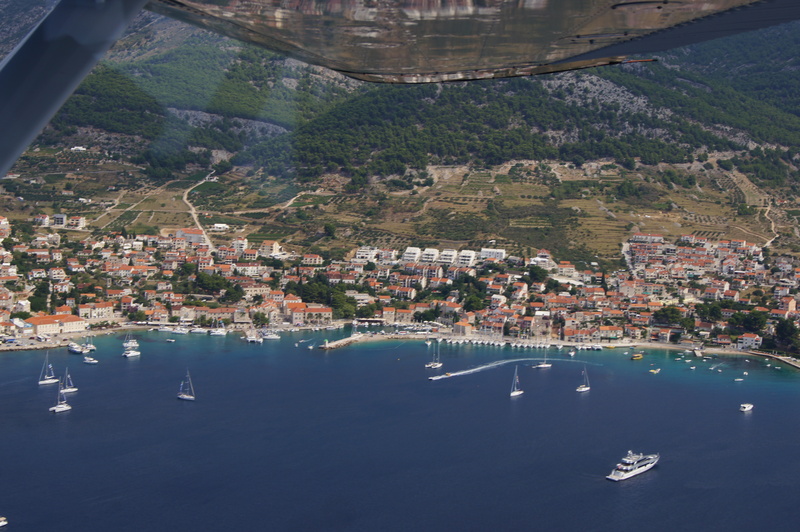 Our plan was to fly all the way to Brač Island, Croatia. 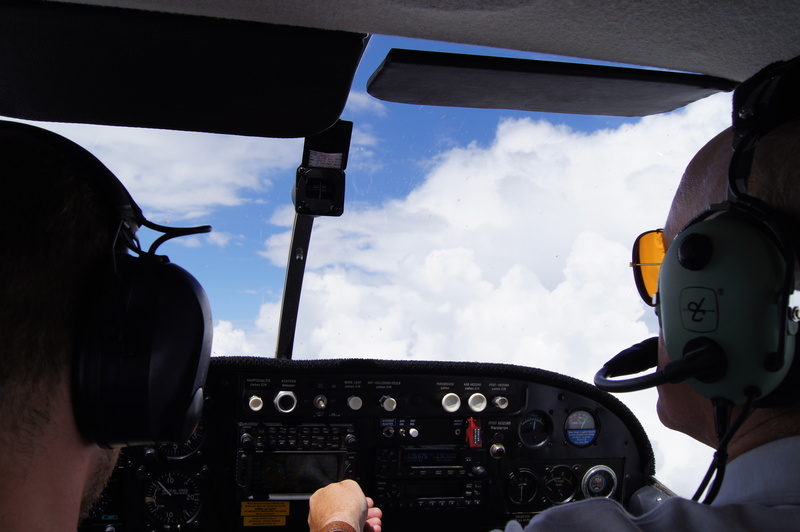 Unlike the airliners, with our little Cessna, we had to to remain clear of clouds altogether. 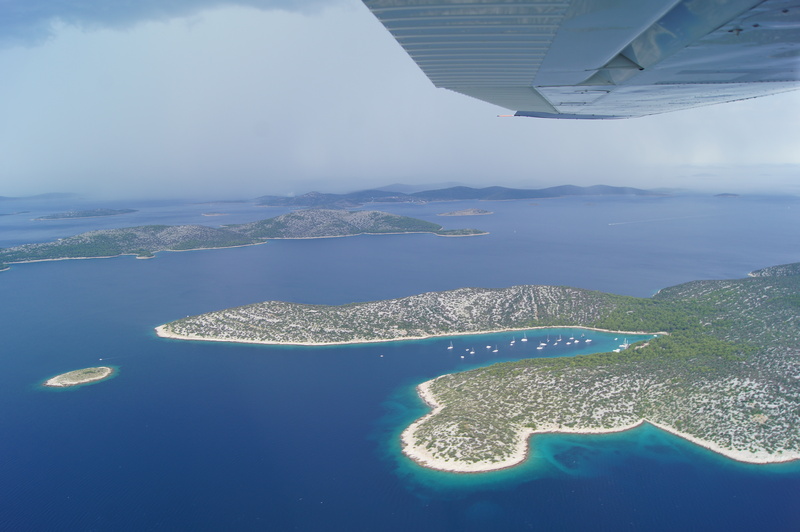 As the cumulus clouds were towering and building up, but were still easy to avoid, we decided to climb and see if we could fly over the mountains and descend over the sea in Croatia. But we couldn’t go higher than the clouds built up, at 13’000 feet we made the decision to descend as we didn’t have any oxygen with us and the clouds would probably grow higher than the plane could fly. We repeatedly requested the weather from nearby airports, to maintain situational awareness and for our aeronautical decision making. 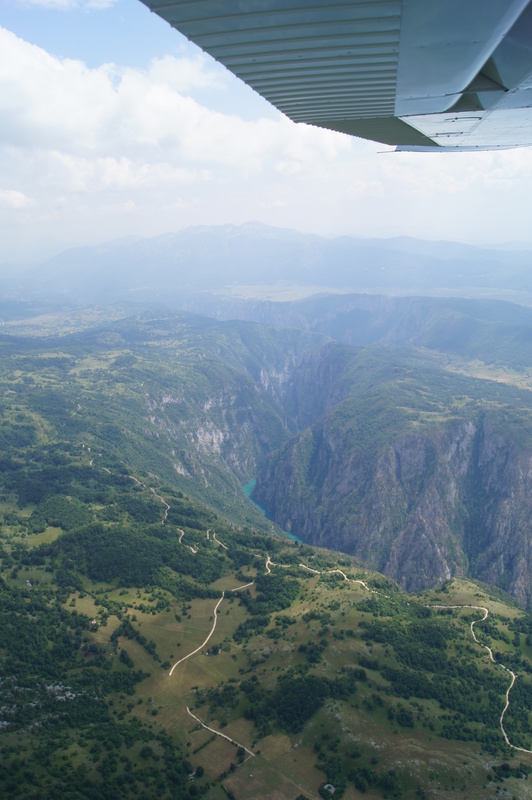 The routing was complicated because we weren’t allowed to overfly the area of Kosovo. We avoided it to the North and overflew Niš, Serbia. After passing through the warning area around the border of Kosovo, we saw the countries Montenegro and Bosnia & Herzegovina from above. 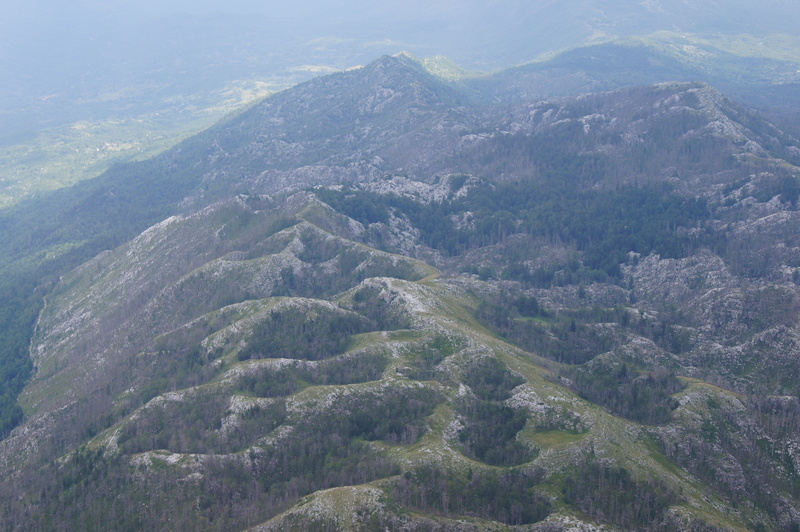 In the mountainous area of Serbia, as we descended into the valleys, we didn’t clearly see where to continue at first. During the descent, I saw an abandoned airport and we marked its position on the map, in case we would have no choice but to land due to the weather. Without much further thought about it, we found a way through a valley and continued. 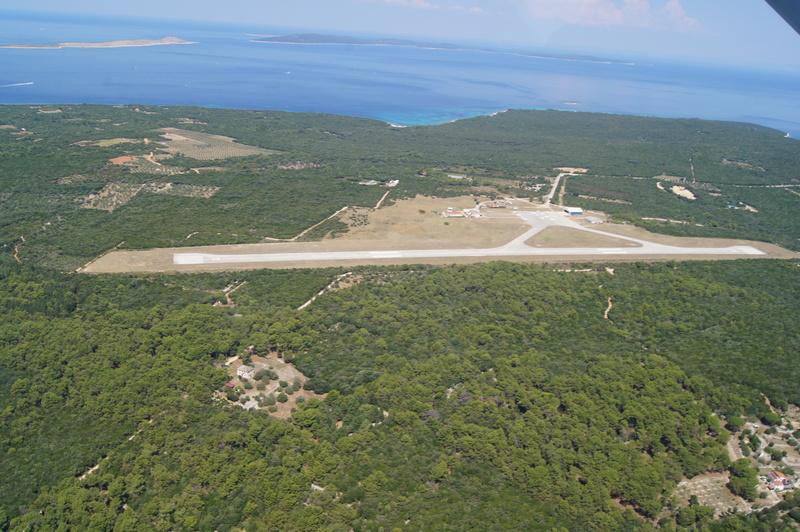 Now, when researching this airport I just found out that it would’ve been possible but difficult to land on that runway. The airport was a military field of Serbia, called Sjenica Airport or Dubinje Airport and had been destroyed by NATO during the war in 1999. Apparently, there are plans to rebuild the runway for civil use. 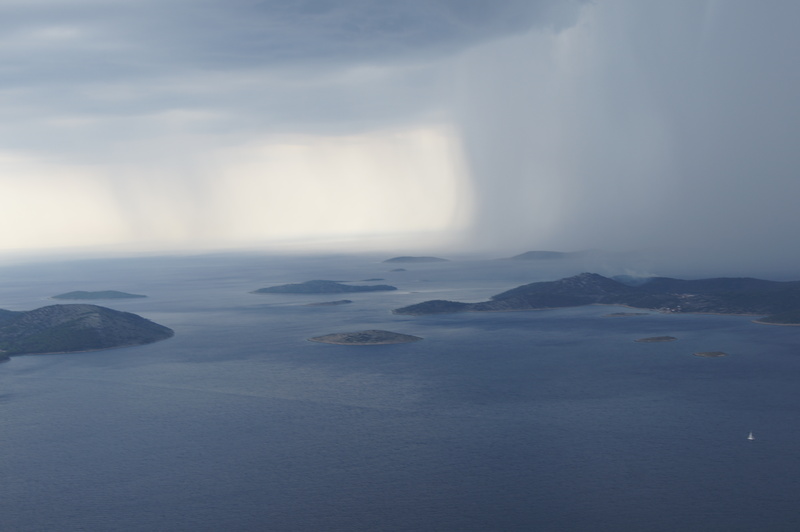 A bit dulled from what we saw, tired from the challenging weather and decision making, the views of the Croatian coast were a strong contrast. 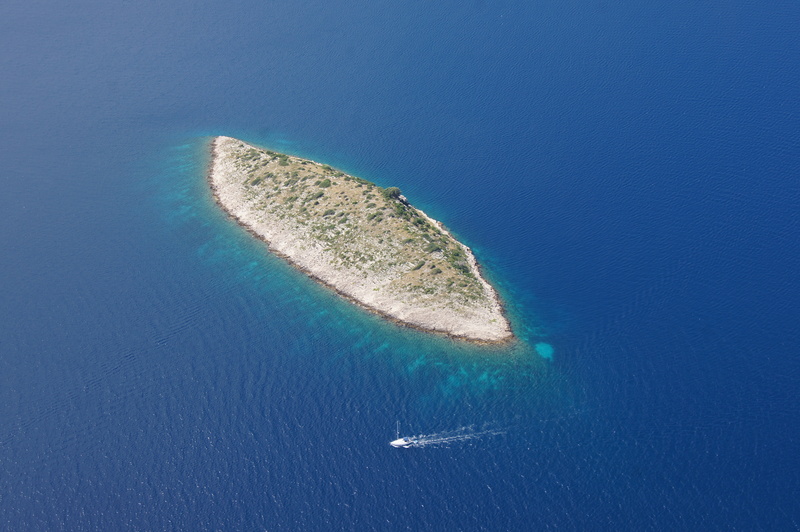 After the long flight from Bulgaria, we finally arrived on the Island of Brač in the Adriatic Sea. Not only the pleasant weather was a contrast, but also the forward-thinking airport employees. They started refueling immediately after we had shut down the engine, they pushed our plane into the parking position, tied it down and when we left the terminal, one of the firefighters was waiting for us in the airport taxi. We spent a night in Bol and enjoyed the seaside. 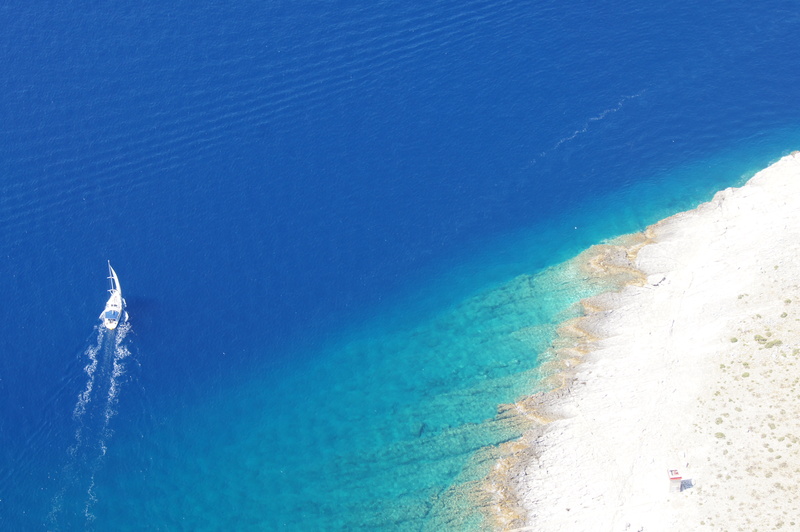 I think I will return once to go windsurfing there, it’s a wonderful place. Want to buy one of these backpacks? It’s my wife’s design. 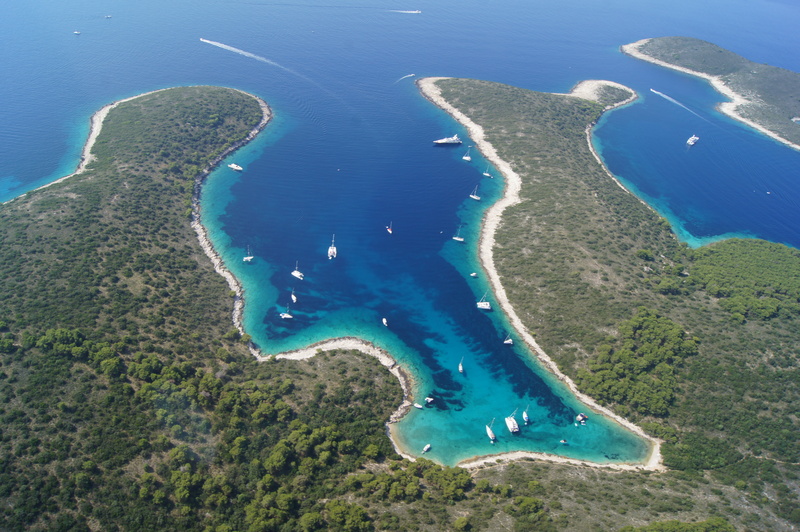 The next day, we made a short island hop from Brač to Mali Losinj. 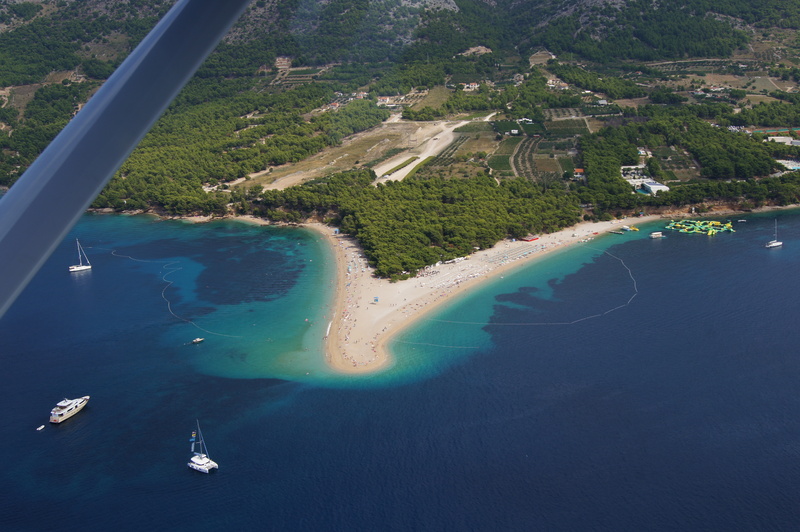 After takeoff from Brač, we descended to our cruising altitude (airport at 1’600 feet, cruise at 1’000 feet). Crazy. 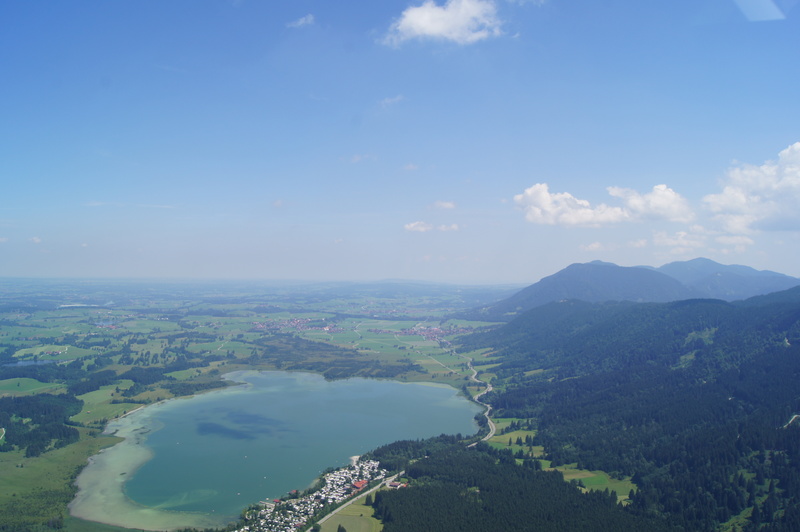 Here’s the views from just after takeoff and the subsequent flight. This island was even more beautiful. Now I understand why other flying associations such as EuroGA like to go there for fly ins. 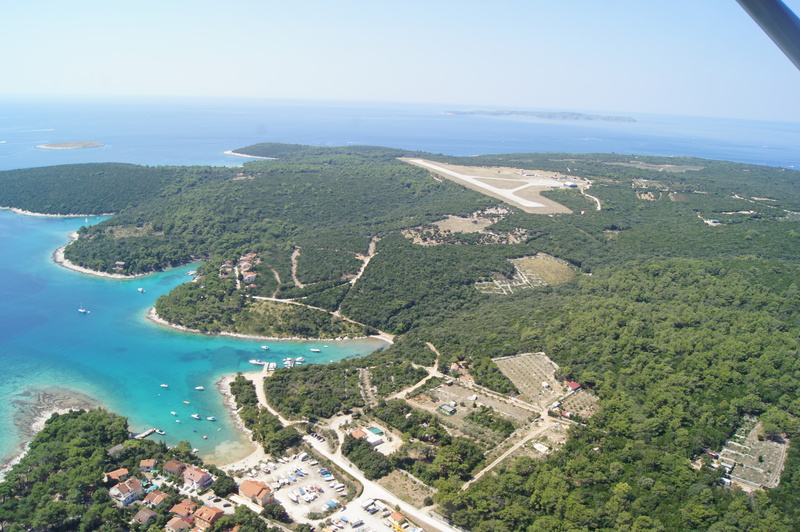 I’m pretty sure the next time I need some beach holidays I’ll go by general aviation to Mali Losinj. After two nights, we finally had to fly home to Switzerland and another interesting flight awaited us, to Portorož, Slovenia and from there to Grenchen, Switzerland. Even though I had planned to fly a direct route at high altitude, this plan didn’t pan out. Due to clouds I had to descend and follow the valleys of the alps, via Bernina Pass, Julier and Simplon. This fly out was very special. Not only did we see fantastic landscapes and met wonderful people, we also discovered a new place to go on holidays: The Black Sea. 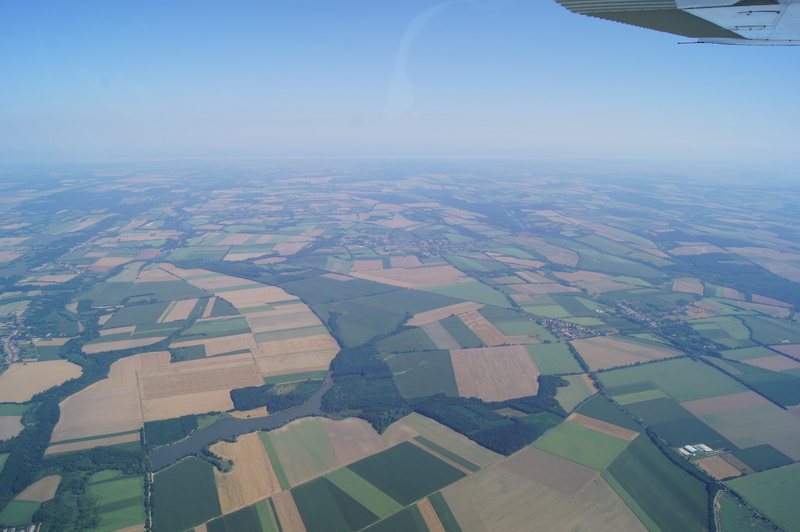 I think the ambitions of AOPA Bulgaria, to make their country a general aviation destination, is brilliant. I hope they will succeed and the airports and the authorities realize the economic potential of general aviation. 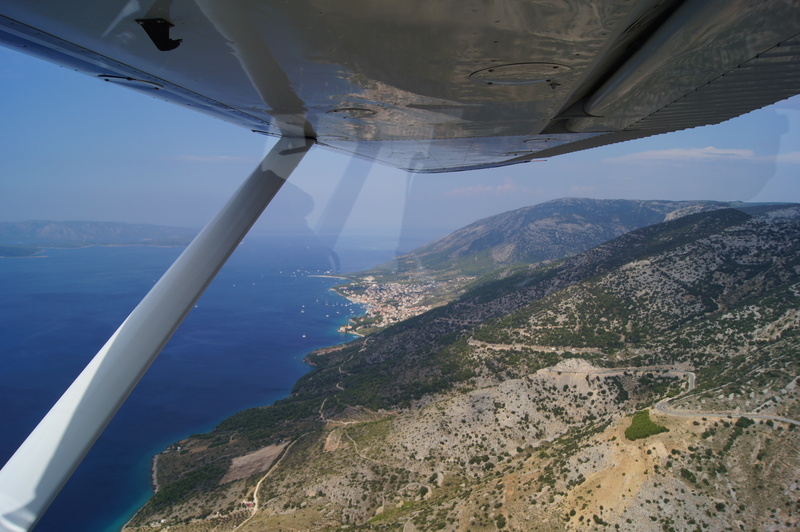 It wouldn’t take much to become the new Greece* as a general aviation destination. I can’t wait for the next adventure. *as mentioned above, the airports of Greece have been taken over by a German company and raised their landing fees to a level that keeps general aviation pilots away. 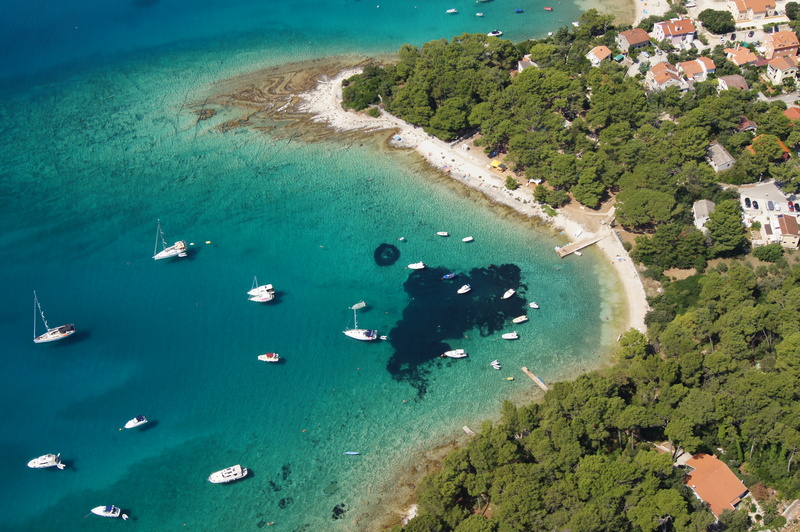 Bulgaria could use this situation to promote themselves as a GA-friendly destination.